A band of contrasts. Danish five-piece Lowly’s adventurous yet sometimes unsatisfying second record Hifalutin is filled with opposites. Let’s take for starters, the contrast between the band’s given name with the record’s title and album cover. Lowly is a synonym for a person low in status and humble, yet their second record’s title is Hifalutin, a Danish word for something that’s pompous, overbearing and self-important. 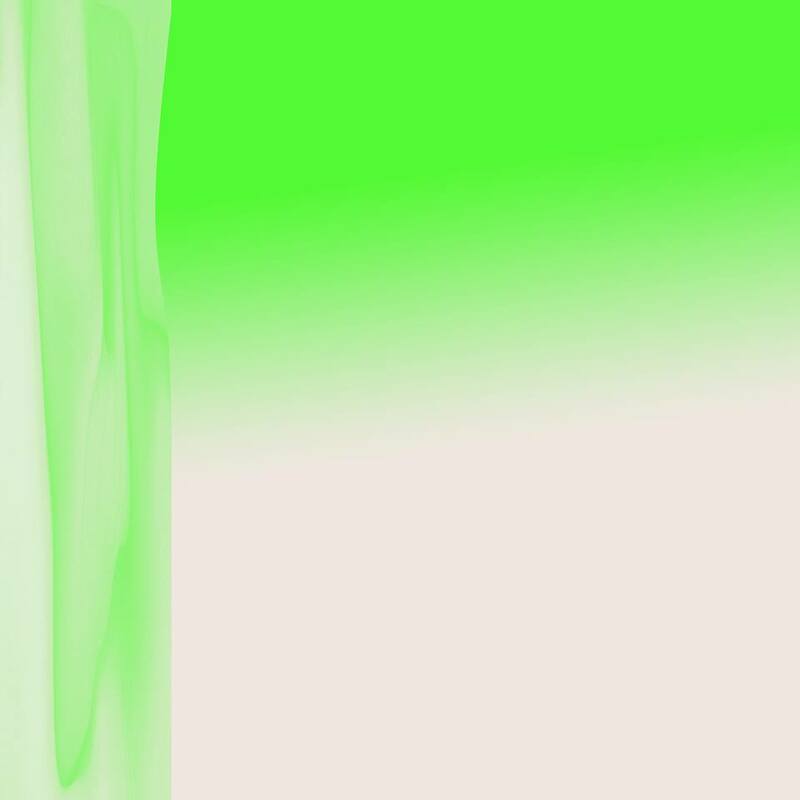 Their record sleeve is minimalist and low key with its splash of only two colours, yet the dominant colour is vibrant green, one of the most attention-seeking shades. The contrasts don’t stop there, as the content within Hifalutin from the music to the lyrics are also contrasting in both an applause-deserving and frustrating way. Lowly’s lyrics often use non-complicated English and sometimes attempt to connect listeners with universally understood themes. These include ‘in the hearts’, sounding like if Poliça made music in the 80’s, it’s an melodic ode to love’s power and omnipresence. While the sticky and intense ‘stephen’ was inspired by the death of one of the world’s most famous geniuses Stephen Hawking. Lines such as: “and the writers and quoters in the last, go from the iris,” are an observation on mortality. However, much like the debut album Heba, the Danish group’s words are more often than not vague in context. This is a calculated move and was meant to provoke curiosity, as co-lead singer Soffie Viemose admitted in an interview about their methodology: “We’d rather show something than say something quite literally. Our lyrics consist of images and scenes that briefly glide into one’s field of view, and then disappear again.” What makes it hard to connect with Lowly’s lyrics even more is when they are esoteric, with many being inspired by compatriot poet Ingrid Christensen and Persian theologian Jalal ad-Din Rumi. Nonetheless, the vagueness can work on occasion, including on the Bat For Lashes-stylised narration interlude ‘II’ and the radiant opener ‘Go For A Walk.’ The latter is one of Hifalutin’s best tracks for its juxtaposing pairing of intriguing yet opaque lyrics suggesting a horrific murder (“A devastating crime scene, I bring the remains and you’ve seen the reigns.”) but the vocalist sings not in a fear of the killer but as some sort of angelic counsellor attempting to rejuvenate their soul. As suggested by her therapeutic words along with the dreamy birth of a sunrise image conveyed by its fluttering strings and glowing effects. Hifalutin‘s uniquely-crafted sound was recorded in a large warehouse just outside of Denmark’s second largest city Aarhus and could be labelled under the contradictory genre type of experiment-pop. It’s pop in the sense that many tracks begin pleasant and easy to listen to musically and vocally and contain many of contemporary pop’s credentials including autotune – although this is used for a disconcerting effect rather than to improve a vocalist’s talent absence and they use many vocal manipulations on the record – but then surprisingly end with an experimental flourish that put a Lowly stamp on them. This pop-beginning-experimental-end structure gives a mixed listening experience. It’s unsuccessful in ‘Children’, a track that’s post-rock climax is simultaneously loud, overwhelming and boring. Furthermore, after a hurried and enjoyable start, ‘stephen’s last chapter tails off underwhelmingly into a meditative abyss and one that makes it a tricky selection for radio (as if they care). While the Agnes Obel-through-a-synthesizer ‘bagleans’ (meaning backwards in Danish) is a lush yet too-restrained song and its lack of chorus and repetitiveness feels like it builds to nowhere – one of ‘Hifalutin’s’ problems composition-wise. Nevertheless, there are some good moments when the experimental part kicks in. ‘Staples’ begins with high-spirited electronic pop coated with Scando-synthesizer gloss but a slightly tiresome looped vocal of “dry dry dry” as its hook, before ending rather effectively with what imagines a scared person running through the woods in danger with its knocking woodblock, rapid scattering sounds and bulging stereo feedback. A feedback also used well at the end of the campfire-acoustic-meets-space-age fusion ‘Out Beyond’. ‘Hifalutin’ desires praise for its experimental edges to pop, vocal trickery and production imagination but for all its uniqueness, its lyrics and compositions are actually mostly forgettable. Perhaps another contradictory and contrasting statement.